Includes: vacuum pump and 2 wine stoppers. 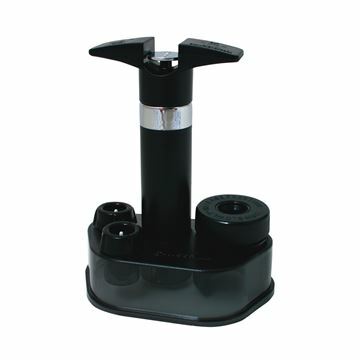 Epivac wine saver is designed to seal in freshness of remaining wine. Wine stoppers are reusable. Six Colors to chose from. Dual action pump. Reseals both wine and champagne. 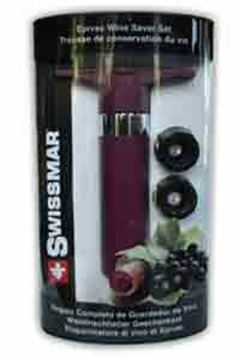 Keep your wine fresh with Swissmar stoppers. 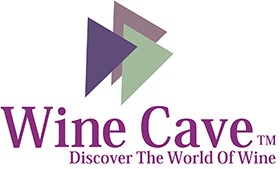 For use with Epivac pumps. Boxed 4/pack. 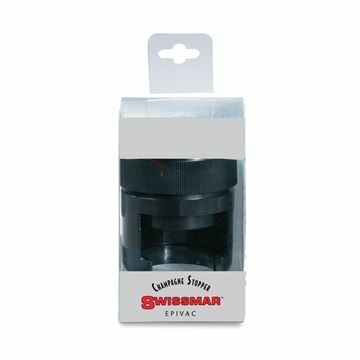 Keep your champagne fresh with Swissmar stoppers.